At Mount Royal Dental, bringing out the natural beauty of the teeth through cosmetic dentistry is an important part of what we do. The technological advances used in the cosmetic dentistry procedures performed in our Duluth office make it possible to easily enhance the appearance of the teeth, giving our patients greater confidence in their smiles. Prior to receiving any cosmetic procedures at our Duluth office, our patients undergo a hygiene exam that includes teeth cleaning, x-rays, and a visual screening for oral cancer. Dr. Camille Zelen, DDS, takes the time to create an individualized treatment plan for each patient that encompasses the patient's goals for a successful transition to a new smile. Dr. Zelen explains the benefits of each procedure, clarifying patient questions and explaining all available options. Composite Fillings - Modern technology has made it possible to match your tooth coloring with composite fillings, avoiding the unattractive quality of metal amalgam fillings. Getting a composite filling is one of the most commonly performed cosmetic dentistry procedures at Mount Royal Dental. Invisalign® - Our Duluth cosmetic dentist is a certified provider of Invisalign®, a system that uses a series of custom-fit clear aligner trays to gradually transform your smile. Taking approximately 18 months from start-to-finish (depending on your unique oral health concerns), Invisalign® is less invasive, less visible, and more comfortable than traditional braces. 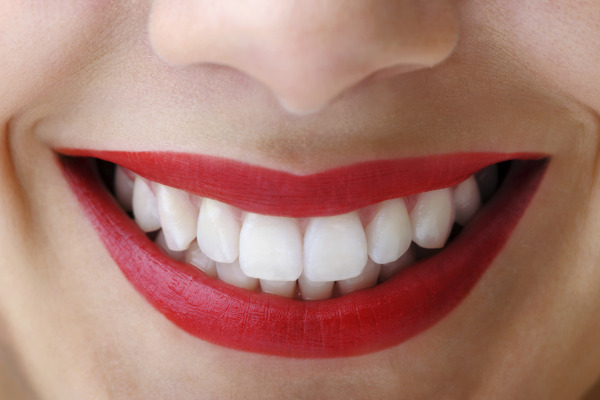 Teeth Whitening - As the teeth age, their white appearance becomes dulled and stained by diet and lifestyle choices. Teeth whitening procedures can lift away years of discoloration, refreshing your smile for a bright, fresh appeal. Our Duluth cosmetic dentistry office offers laser bleaching for teeth whitening; a treatment that is more effecting than Zoom! whitening for lifting stains and discoloration. We provide trusted brands such as Kor, for reliable teeth bleaching that you can count on to effectively whiten your smile with decreased sensitivity and dependable results. Porcelain Crowns and Fixed Bridges - Used to restore the functionality of the patient's bite, as well as the attractiveness of the smile, porcelain crowns, and fixed bridges are matched in color to the existing shade of the patient's teeth. They provide a durable solution to missing and damaged teeth that are made to blend seamlessly into your smile. For added patient convenience, our Duluth dentist offers same-day crowns with CEREC®. Porcelain Veneers and Lumineers® - For patients with misaligned and discolored teeth, porcelain veneers and Lumineers® offer viable options for correction of both problems with one treatment. Veneers are thin pieces of porcelain that are placed on top of your existing teeth, allowing them to appear straight and bright white. Botox® Injections for TMJ Disorders and Cosmetic Enhancement - A relative newcomer to the selection of cosmetic dentistry procedures, a Botox injection can provide welcome relief from pain associated with clenching and grinding of the teeth. Our cosmetic dentist is experienced in using Botox® therapy for dentofacial pain as well as for aesthetic treatment in reducing lines around the mouth that can make patients appear aged. Our Duluth dental office also offers cosmetic treatment with Juvederm® to replace lost volume around the face and improve appearance around the mouth and lips. Dr. Zelen and the team at Mount Royal Dental can help you enhance the beauty of your natural smile with the cosmetic dental procedures offered at their Duluth dental office. Treatments are recommended based on what is best for your oral health and what will help you achieve your smile goals. To learn more about cosmetic dentistry in Duluth or to schedule your initial consultation, contact us today or set up an appointment online.